When it is sticky and humid outside, the last thing you want to happen is for your air conditioner to fizzle out. Air conditioners can go on the blink for many different reasons. For instance, there may be something wrong with the Freon, or your unit may be older and now is the time for it to be replaced. Or perhaps you have not been diligent enough to keep up your maintenance agreement and now find yourself in a crisis. Whatever the reason may be, it can be frustrating when it seems to be 10 degrees warmer in your home than it is outdoors. Texans are used to having their air conditioning system run year round because they are accustomed to living in a warmer climate than those of us who only experience humidity during the summer months. With that said, these residents depend heavily upon air conditioning repairs in Houston. When the air conditioner in your home stops emitting a cool wave of air to the atmosphere in your home or place of business, you need to be able to count on a trustworthy and efficient service technician. These experts will be able to respond to your needs in a quick and efficient turn-around time. And you will also be able to count on high-quality workmanship that will get your unit up and running in a minimum time span. When your unit is in operation and you began to notice that warm air is blowing through your HVAC vents, or if you hear strange and loud clambering or clicking noises, that is the time to turn off your unit and call for a technician to run a diagnostic test on your air conditioner in order to determine if the problem entails thermostat problems, component failure and or condensation. Because the job your air conditioner performs is so very crucial to your environment during the times the air in your home is uncomfortably warm—these experts technicians know that you don’t want to wait around the house all day for a contractor to show up. Nor do you want to have to wait during the long lag periods of a slow repair. When you need air conditioning repairs in Houston, if your air conditioner breaks down due to the normal wear and tear or even if it’s due to unintentional negligence, you can have the peace of mind in knowing that you will not have to interrupt your busy schedule with too much downtime. When the technician arrives he will begin to inspect your unit to make certain that it is receiving power at the electrical panel. And proceed to troubleshoot any switches that control the temperature settings and refrigerant. Sometimes, your unit may power up and run but you are not receiving any cool air in the home or office. It may be a simple matter of changing the filter or checking to see if ice has formed on the coils. If that is the case, the unit needs to be turned on along with the fan in order to melt the build-up of ice. You may also want to check and clean the outdoor compressor. When you follow these simple steps and if your unit begins to perform, as it should, you have saved yourself time and money, as well as a repairman’s time. 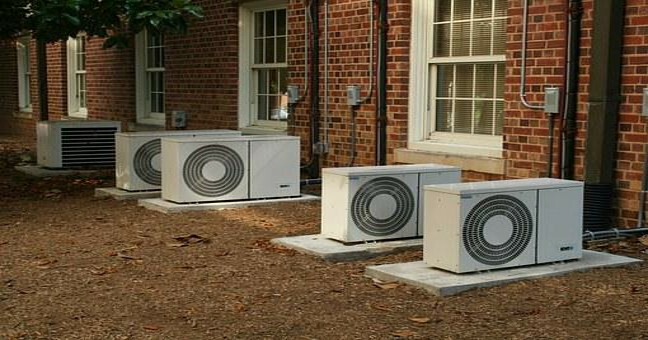 Therefore, if your air conditioner is in need of service because it is no longer emitting cool air into your home, then now is the time for you to begin looking for a reputable repairman somewhere in the state of Houston.